Hello and welcome to the 678th installment of the SWD. Hayat Tahrir al-Sham conducted an operation in the village of Kafraya, targeting an Islamic State’s sleeper cell in the locality. Hayat Tahrir al-Sham reportedly arrested five individuals belonging to the Islamic State, including an individual that escaped from a Hayat Tahrir al-Sham’s prison. Syrian Democratic Forces fully captured Al-Shajilah and Baghouz Fawqani from the Islamic State in eastern Deir al-Zour. 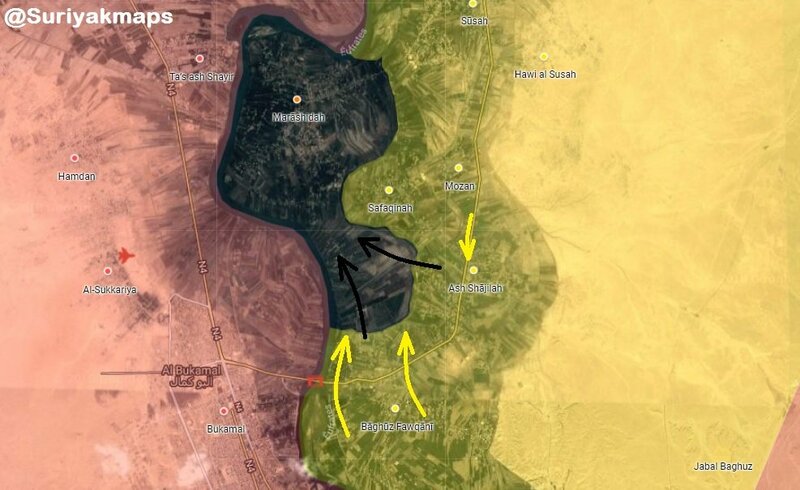 Clashes between the two continue around Marashida, the last Islamic State’s stronghold. Afghan National Security Forces killed four and wounded four elements of the Islamic Emirate of Afghanistan (Taliban) in Khwaja Sahib Posh district. Afghan National Security Forces killed 11 elements of the Islamic Emirate of Afghanistan, as well as destroyed two motorcycles and several weapons depots and ammunition caches in Ab Kamiri district. Afghan National Security Forces reportedly killed 18 elements of the Islamic Emirate of Afghanistan in Shindand district, according to the Afghan Ministry of Defense. Islamic Emirate of Afghanistan reportedly killed three and wounded six elements of the Afghan Local Police in Zirkoh and Langar areas of Shindand district. Afghan National Security Forces killed two and wounded seven elements of the Islamic Emirate of Afghanistan in Arghandab district. Islamic Emirate of Afghanistan attacked several Afghan National Security Forces’ convoys in Mobile Khada and Khash Karez areas of Sangin districts. Five armored personnel carriers and two armored vehicles were reportedly destroyed in the attacks. Afghan National Security Forces reportedly killed 17 and wounded six elements of the Islamic Emirate of Afghanistan, as well as defused 24 improvised explosive devices in Maywand district, according to the Afghan Ministry of Defense. Three elements of the Afghan National Security Forces surrendered to the Islamic Emirate of Afghanistan in Nesh district.